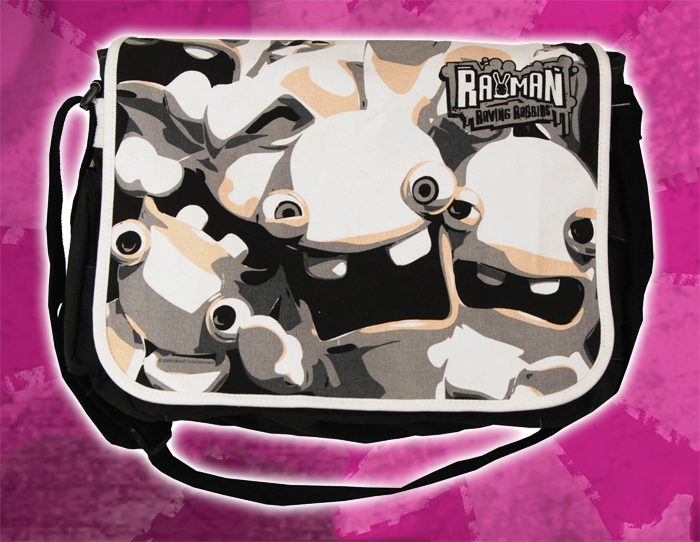 Take your gear on the go with this messenger bag from the Rayman Raving Rabbids video game! It features — well, we’re not sure exactly what the technical term is for that many Rabbids. “Certain doom” sounds about right. 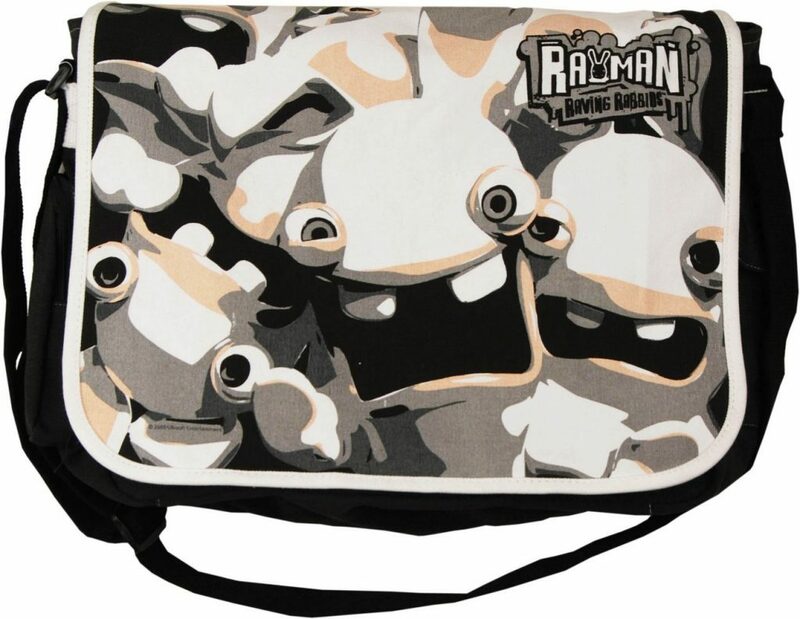 There’s one more stray Rabbid underneath the front velcro flap, undoubtedly up to no good. Adjustable shoulder strap and roomy 15x13x5″ interior, with side zip and Velcro pockets on the outside for easy-access storage. Cotton canvas is lightweight but sturdy, plus it’s machine washable.